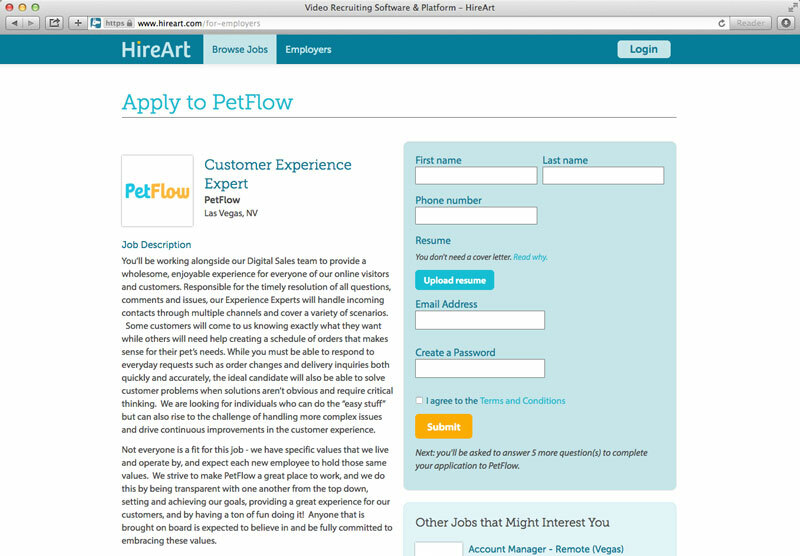 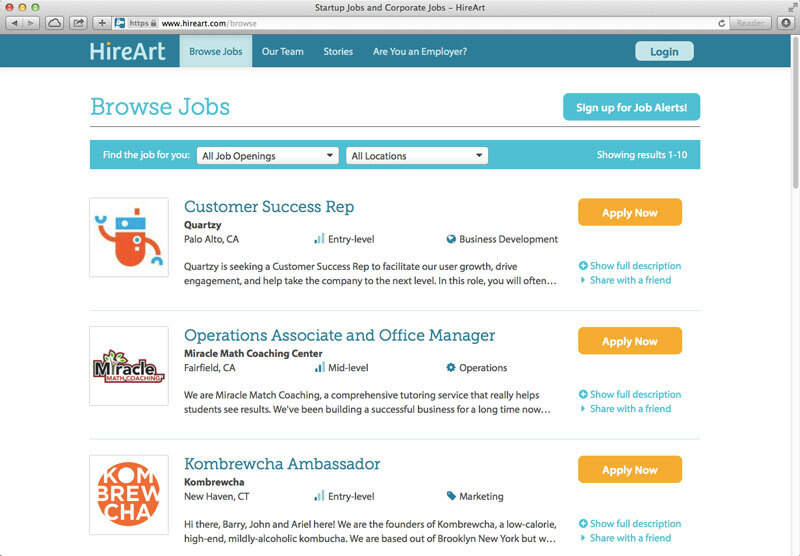 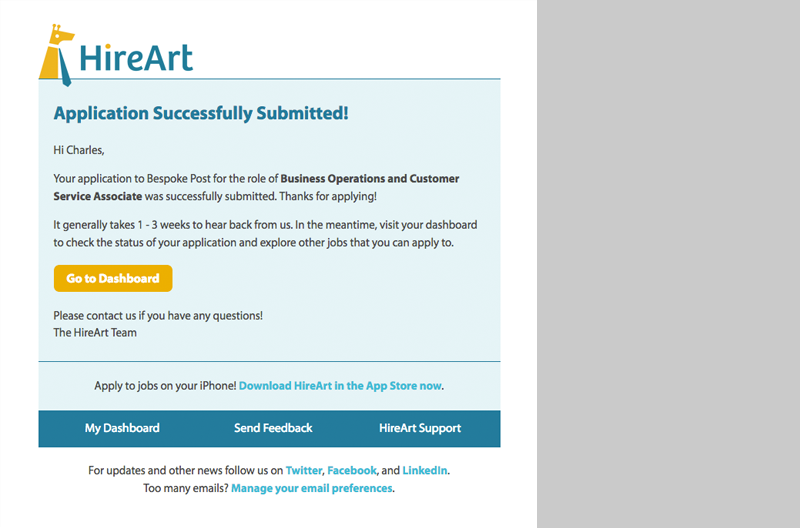 HireArt is an online service that expands on the traditional job board. 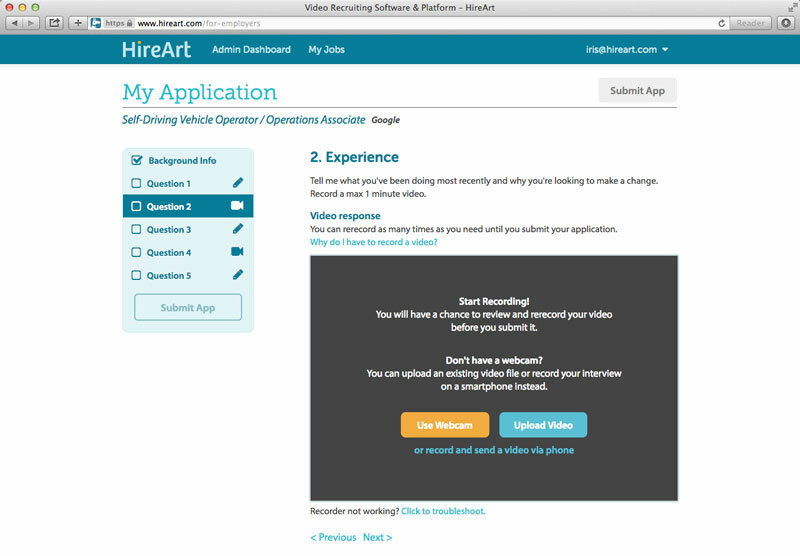 Candidates complete a comprehensive application that includes video and written components, which they can then use to apply to additional jobs. 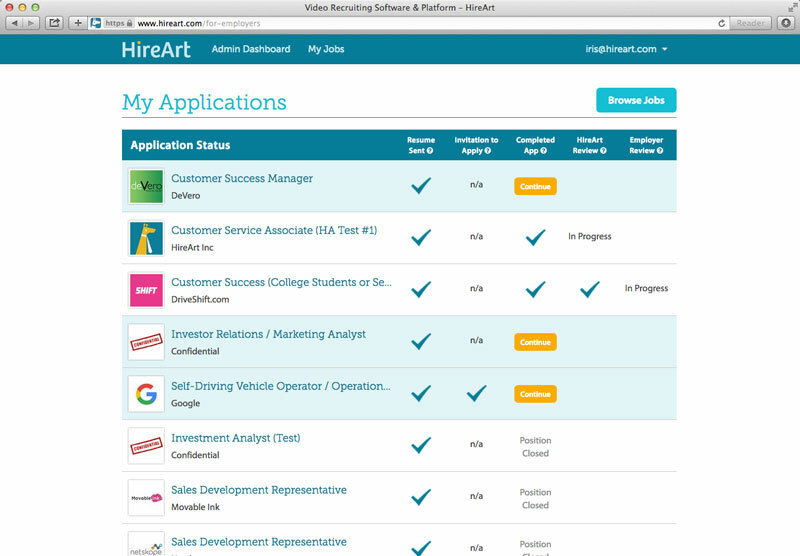 The scope of this project included developing the user interfaces for the job board, application process, and status dashboard as well as branded HTML templates for email communications.